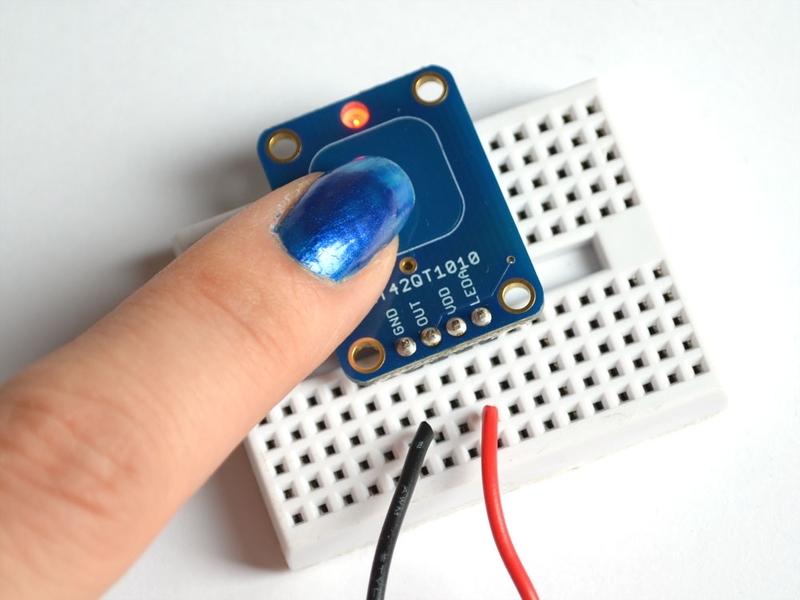 This breakout board is the simplest way to create a project with a single "momentary" capacitive touch sensor. 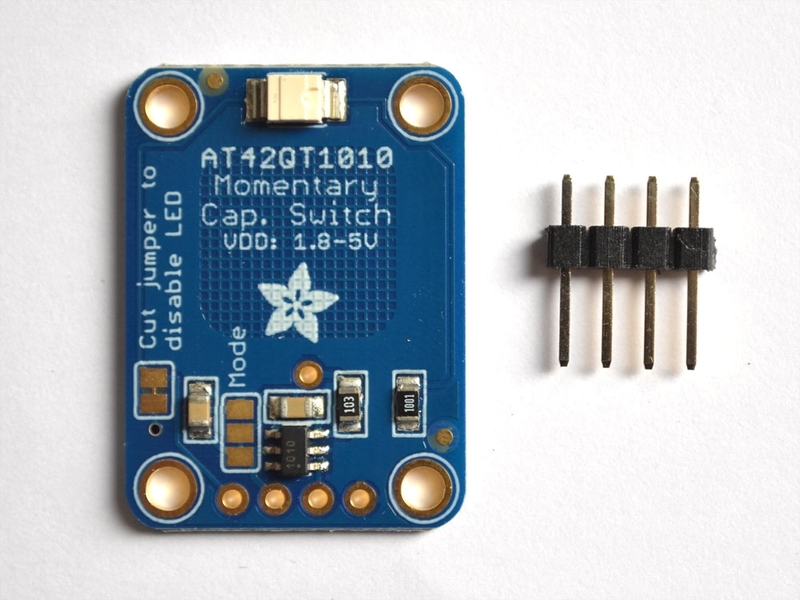 No microcontroller is required here - just power with 1.8 to 5.5VDC and touch the pad to activate the sensor. When a capacitive load is detected (e.g. a person touches the sensor-pad area) the red LED lights up and the output pin goes high. You can also solder a wire to the middle pad and create your own capacitive pad if the built-in one isn't suited to your project. 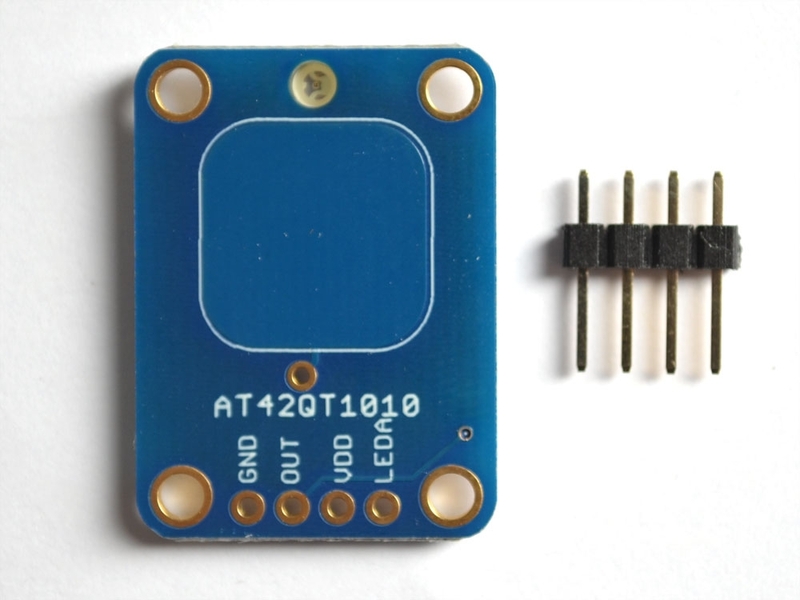 If you want to save power, the LED can be disconnected from the output pin (cut the trace between the jumper marked as such). We designed this breakout to have the more-responsive "fast mode" which draws about 0.5mA. If you need ultra-low (~50uA) power usage, the mode jumper can be cut on one side & soldered closed on the other to fix it into that mode. Check the datasheet for specific power usage measurements.